Most of us like to spend the first week in a new job getting our head down and finding our feet. Gently ingratiate yourself with your team. Make the tea. Stay out of trouble. Definitely don’t do mad things, like officially stealing key senior executives from your two biggest competitors within your first 48 hours on the payroll. People might frown at that. Which is all a meandering way of telling you… Max Lousada is kicking up a bit of a storm in the blockbuster US music business right now. Rumors have swirled for some time around the future of both Warner Bros Records in Burbank, CA and its Chairman & CEO, Cameron Strang. Last week, trade reports started suggesting that Lousada was about to poach RCA COO & President Tom Corson to take over the the label. Then MBW told you that Lousada wasn’t done; that he was laser-focused on also convincing the President of A&R at Interscope Geffen A&M, Aaron Bay-Schuck, to join WBR. Today, Warner has confirmed that Lousada has hit two for two: Bay-Schuck will be named Co-Chairman and CEO of WBR, while Corson will be named Co-Chairman & COO. The duo will work as a partnership, with Corson (pictured right) running the label’s operations and Bay-Schuck (pictured left) leading WBR’s creative direction. Cameron Strang will step down as boss of Warner Bros at the end of 2017. Max Lousada officially began as Warner’s global CEO of recorded music yesterday (Oct 2). He said today: “At WMG, we’re building a creative and entrepreneurial environment where artists can change culture and make music that matters. Tom and Aaron don’t just share our ambition; they both have it in their DNA. “That’s why they’ll be such an inspiring duo at WBR, which is always strongest when it’s at its most daring and unexpected. At the cutting edge of a new generation of leaders, Aaron has impeccable taste and a rare ability to help distinctive artists grow into global superstars. Aaron Bay-Schuck said: “I must first and foremost say thank you to the artists who have trusted me, to the songwriters and producers who have delivered time and time again, to the publishers who have sent me their best songs, and to the managers and lawyers who have made me your first call. You all are the reason I am in this position. Tom Corson said: “I’ve long been in awe of the extraordinary lineage of artists and executives that are part of the Warner Bros. story, and I’m excited to join this legendary label at a time when our business is more dynamic than ever, creatively and commercially. “Aaron is a world-class talent, and our partnership will be based on a joint commitment to build lasting careers for extraordinary artists that shape the popular zeitgeist. Corson has been President & COO of RCA since 2011. He has worked at RCA Music Group since 2000 and, having overseen operations for J, Arista and RCA, played a leading role in developing the careers of Alicia Keys, A$AP Rocky, Bleachers, Bryson Tiller, Chris Brown, Foo Fighters, G-Eazy, Justin Timberlake, Khalid, Kings of Leon, Kygo, Pentatonix, P!nk, Miley Cyrus, Shakira, Sia, SZA, Usher, Zayn and many others. At IGA, Bay-Schuck works with a roster of artists that includes BØRNS, Daya, Gwen Stefani, Imagine Dragons, Lady Gaga, Lana Del Ray, Maroon 5, MGK, M.I.A, One Republic, Selena Gomez, Skylar Grey, X Ambassadors, and Zedd. Prior to IGA, Bay-Schuck spent 10 years with Atlantic Records, where he rose to Senior Vice President of A&R. Most notably, he signed and played an integral role in launching the career of Bruno Mars. Bay-Schuck also was integral to A&;R efforts for such artists as Flo Rida (including co-writing “Right Round” which went five-times platinum in the U.S., selling more than 10 million copies worldwide), Cee Lo Green, B.o.B., Plies, Trey Songz, and Travie McCoy. Corson began his music industry career as a college intern at IRS Records. Upon graduating from UCLA with a B.A. in Business/Economics in 1982, he joined the label as Director of West Coast Sales, working with artists such as R.E.M. and The Go-Go’s. He moved to A&M Records in 1985, advancing to VP of Marketing and helping develop the likes of Soundgarden, Simple Minds and UB40. Corson spent 1990 to 1996 at Capitol Records, where he was SVP of Marketing, with a roster ranging from MC Hammer to Radiohead. 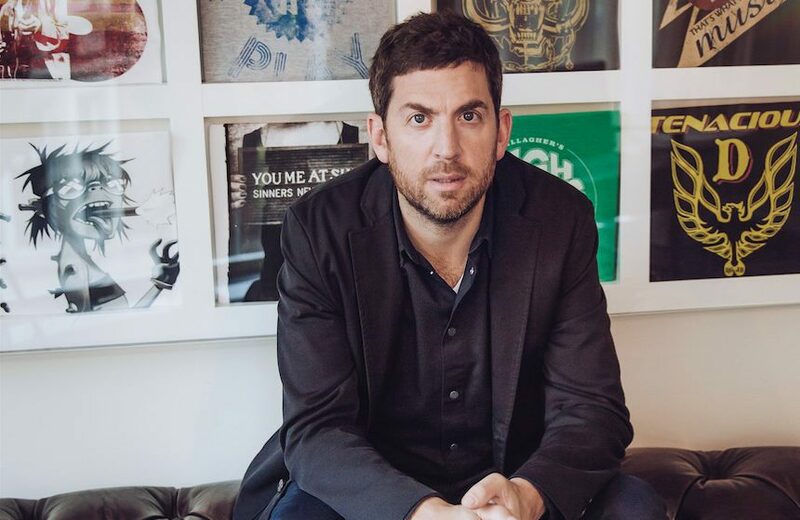 From 1996 to 2000, he was SVP of Marketing at Columbia Records, spearheading a genre-spanning string of breakout campaigns for Fugees, Train, Lauryn Hill, System of a Down, Ricky Martin and others. Corson has served as a guest lecturer at New York University, USC, and UCLA, and was a keynote speaker at Harvard Business School’s Entertainment and Media Conference in 2015.